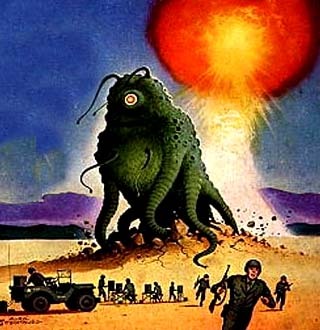 Karl Hansen "Sergeant Pepper"; it's easy to imagine Cameron writing a plot for "Avatar" after having red Hansens novel; soldiers "protecting" exploatation of Titan inhabited by genetically engeneered humans - creatures taller than average Homo sapiens and able to "glide" in dense atmosphere. Highly recommended, if also obscure, piece of sf writing: great pacing and atmosphere. 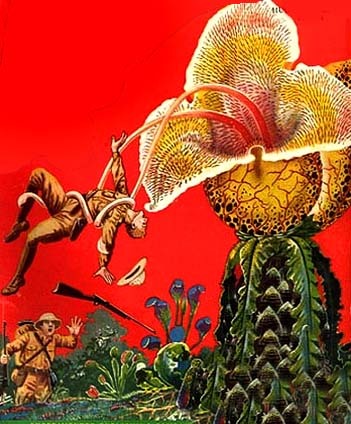 Well-known (in Russia) russian SF writers Arkady and Boris Stroogatsky more than thirty years ago introduced in their books a wild jungle planet of Pandora being full of thrilling exotic predators. Pure coincedence? Or screenplay writers had kind of nostalgie? Gene - are you reffering to "Beetle in the Anthill" (Russian: Жук в муравейнике), 1979? 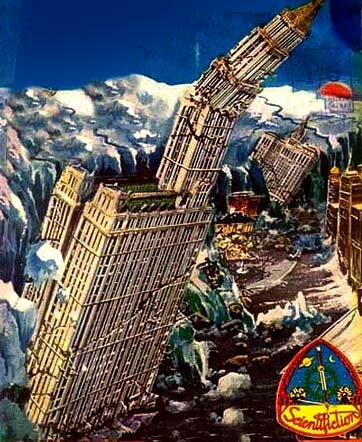 Gene - correction, I meant "Snail on the Slope" (Russian: Улитка на склоне, 1968? Also include the lyrical "Hunter, Come Home" by Richard McKenna (who went on to fame as the author of "The Sand Pebbles"), which describes fluttering, leaflike "phytos" and other weird creatures. 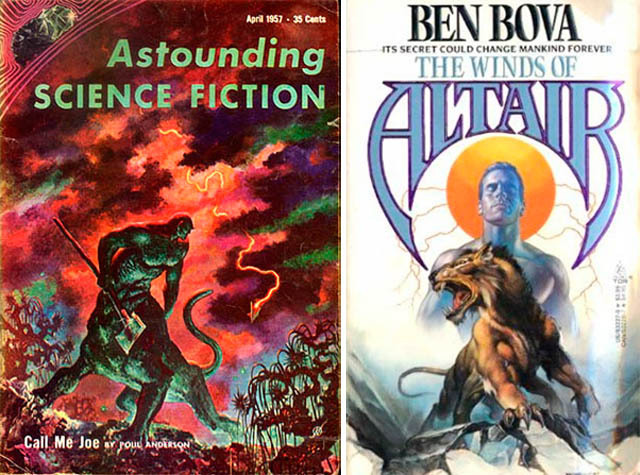 The story begins, "On that planet the damned trees were immortal..."
I just saw Avatsr today and the story reminded me mostly of Bova's "The Winds Of Altair VI" and of Alan Dean Foster's "Midworld". The cover of the "Winds of altair" is my favorite from all the pics shown here. Alan Dean Foster's "Midworld" is a good candidate in my opinion. Do you know the Disney movie Pocahontas? True is is not science fiction, but it is exactly the same plt. 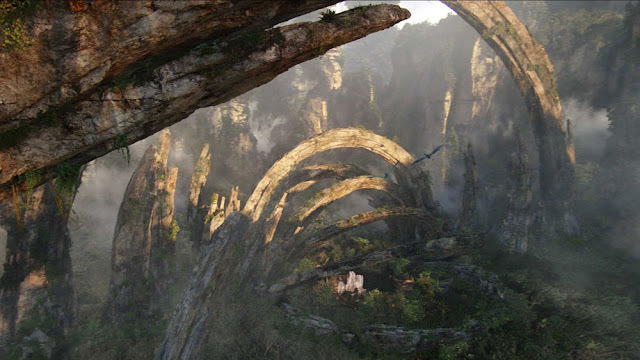 The nearest antecedents that I know of to the floating islands of Pandora are those that feature in the video game Half-Life. 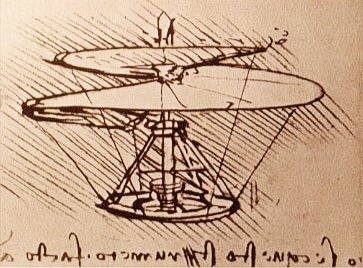 Does anyone know of any earlier depictions of or references to floating islands? Wait, wait! 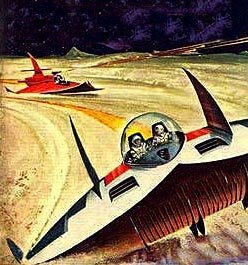 How about "A Case of Conscience" by James Blish? Aliens who live with a giant sacred tree and evil earthlings who want to exploit their planet for minerals to make bombs. The tree is destroyed, etc.. but there's twist, almost an inversion of "Avatar". Fascinating post. 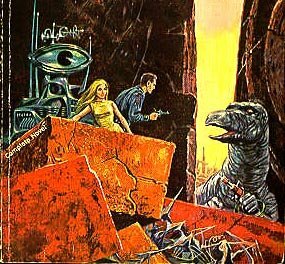 You guys sure know a lot about sci fi. I'm impressed. 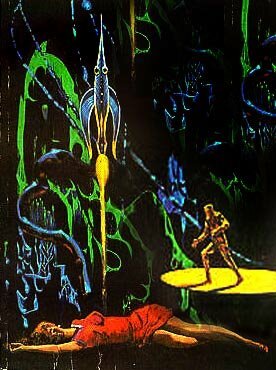 Something that I've not seen mentioned anywhere is the blatant theft of artistic concepts from the artist Roger Dean. 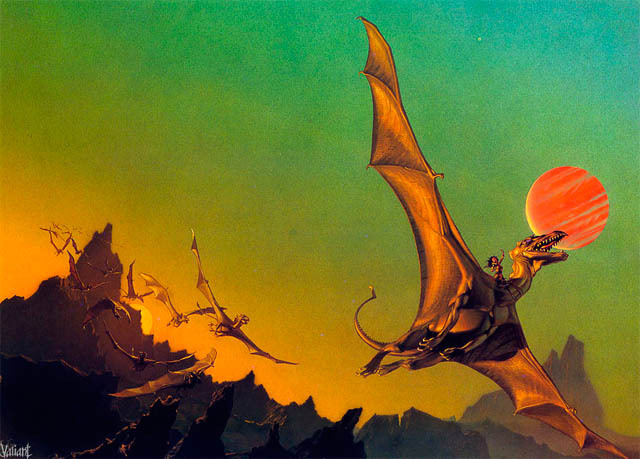 I'm surprised noone's mentioned Bradbury's "Here There Be Dragons". Granted there's no natives on the planet, but it's lot closer to Avatar, then "Soldier" was to Terminator. 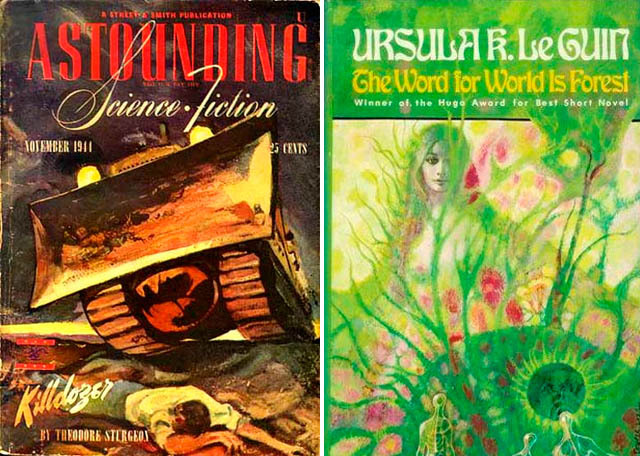 Virgil Finlay drew wonderful pictures of floating islands that drifted up and down the pages of either Startling Stories or Thrilling Wonder Stories - can't remember which - back in the late 1950's. 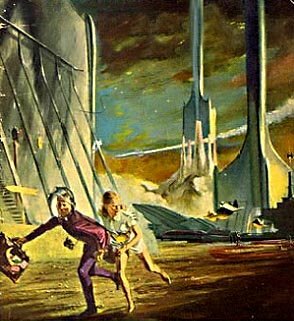 DRB uses a Bergey babe illo from Startling Stories in the lineup illustrating SF and F Reading Experience. Did not see the Cameron film but Frank Herbert wrote a series of related books, Destination: Void, The Jesus Incident and a few more that used the word "avatar" quite a bit. Yeah, I was looking for Midworld on this list too. 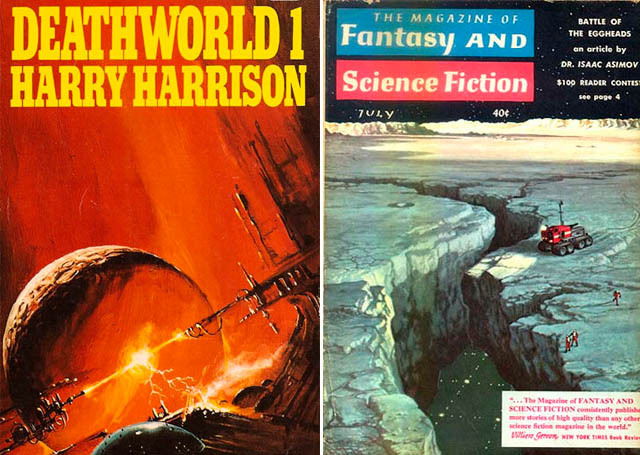 My first impression was of Burroughs "Barsoom" with a lot of visual connections to John Carter of Mars, as I did when I saw the second half of "Total Recall." Visually, it's a blend of every Dragon's Dream/Paper Tiger art book ever published. Many of the works by Edgar Rice Burroughs have been "mined" for hundreds of plots, plot devices, characters, protagonists, antagonists etc. by sf and f novelists, TV and motion picture writers and directors ever since they were first published during the early 20th century. In turn, who knows who or what multiple sources served as his inspirations for the plethora of published material he generated during his very productive lifetime? To be honest, even though I had been well aware for many years that ERB had written the novel on which all the many "Tarzan" films had been based, I had never taken the time to find and read one of his books. Having been motivated by viewing "John Carter" on the STARZ channel, I started digging into his body of works and was amazed at how immediately familiar much of it seemed. Due, of course, to so many aspects serving as inspiration for so many who followed in the next 100 years along with the explosion of different media formats. It's ironic that "John Carter" was quickly labeled by many critics as a derivative, boring film because so many aspects of it had already been "done to death" in so many previous films. I think that the exposition in the post was flawed in that you did not offer up enough excuses as to why the plot sucked. Some of those Avatar landscapes remind me of Roger Dean, who did a lot of surreal landscapes for album covers in the '70s. 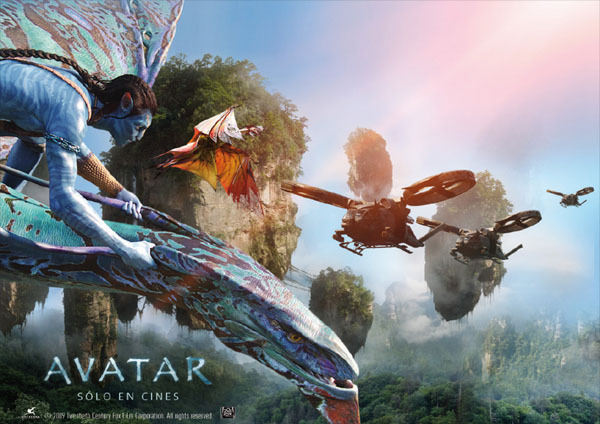 When I first saw Avatar it had so many plot elements in common with The Forest Between the Worlds, by G. David Nordley, that I thought it had been adapted from the latter. The Forest Between the Worlds in turn seems to have been inspired by Aldiss' Hothouse. 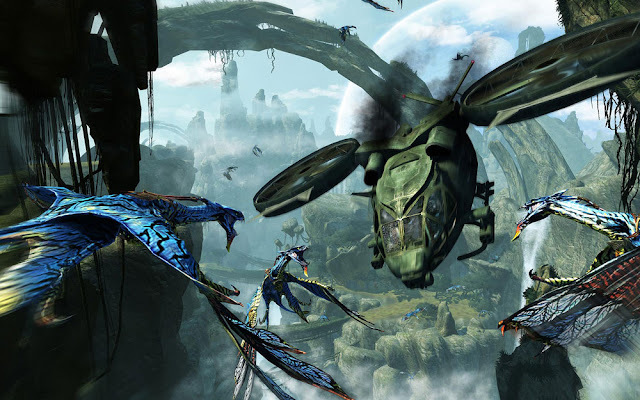 After seeing AVATAR I immediately thought of THE WORD FOR WORLD IS FOREST, but I also thought of HOTHOUSE. Great reading suggestions by everyone. Many thanks. "Hunter, Come Home" by Richard McKenna is THE seed for this wonderful film. Still, the story of McKenna is monumental. I see somebody got "Hunter, Come Home" by Richard "Sand Pebbles" McKenna. A lot of worlds in the 60's were all done up into one connected thing, possibly a product of LSD visions. 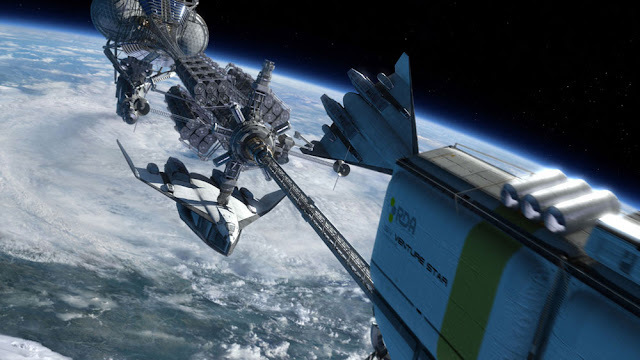 But Asimov's "Green Patches" possibly does it first. To "Anonymous" who asked about floating islands existing before the Half-Life video game, I know there were some awesome ones in Super Mario 64... And, although they weren't in 3-D yet, before 64 there were all kinds of floating islands in Mario games. Definitely in other games too around the Nintendo 64/GameCube era, just don't remember which games. Zelda had then, I'm sure... Especially in the game "Wind Waker", which is also stylistically very similar to the "Avatar" movie. Also 'The Green Star' by Lin Carter. The main character is projected into the body of an alien on a world of giant trees. pretty sure mr's vatine and cailleteau have read some kind of the book you are mention in this thread.